Milwaukee Police are investigating a fatal hit-and-run accident at 17th and Vine about 8:15 a.m. Friday, and it appears to involve a DPW truck. 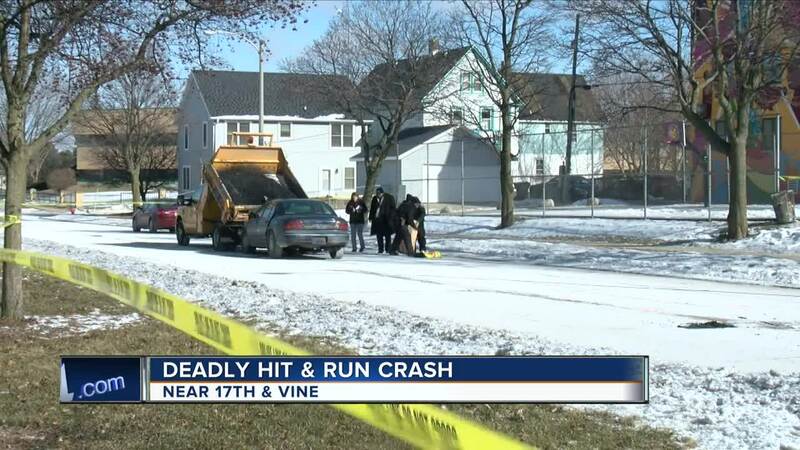 MILWAUKEE — Milwaukee Police are investigating a fatal hit-and-run accident at 17th and Vine about 8:15 a.m. Friday, and it appears to involve a DPW truck. Bryan Rodriguez, a 54-year-old Milwaukee man, was struck and transported to a local hospital, where he died. Rodriguez was married and has children. The driver fled from the vehicle, leaving it on scene, according to police. Milwaukee Mayor Tom Barrett said police have a suspect in custody. The Milwaukee County Medical Examiner's Office said Rodriguez's autopsy is scheduled for Monday.